Welcome to Hervey Bay Tennis Centre, the home of tennis in Hervey Bay. Our centre is located in the heart of Hervey Bay at 79 Colyton Street, Torquay and open 7 days a week from 6am to 10pm. 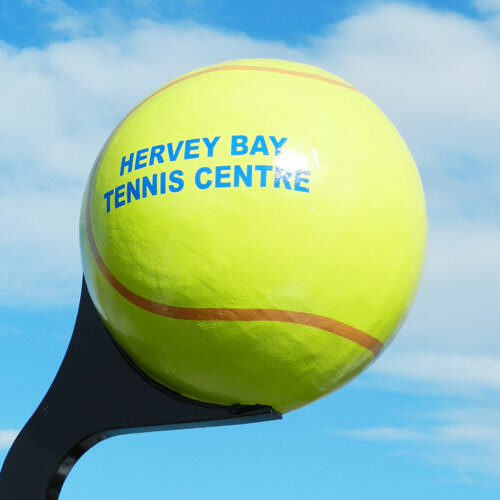 The centre is operated by The Hervey Bay & District Tennis Association Inc. We encourage all members of the Hervey Bay community who are interested, to utilize our courts and facilities and become financial members of our association. The Hervey Bay Seniors Tournament will be held 14-16 June 2019. Online entry is available here. The Hervey Bay Junior Championships will be held 7-8 September 2019. Online entry is available here. Social tennis is available for members and visitors every Monday, Wednesday and Friday mornings from 7am (no need to register, just turn up and play). The cost is $5 (members) and $8 (visitors) which includes a morning of tennis, tea/coffee and biscuits.